MESH has produced a series of Fair Trade Fact Sheets in English and Hindi especially to share with our producer partners. The first is a history of Fair Trade. 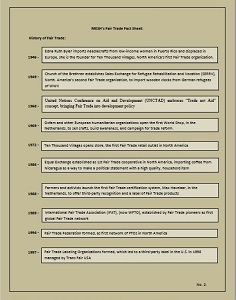 Please feel free to use these fact sheets to tell more people about Fair Trade.